NTT Inc. - What is Vibration Analysis in Mechanical Maintenance? What is Vibration Analysis in Mechanical Maintenance? Vibration in equipment can lead to potential problems within the hardware. As vibration increases, so does the chance of maintenance problems. In order to identify possible issues within machinery, it’s wise to measure the level of vibration within the hardware. This is known as vibration analysis. By implementing vibration analysis into your company, you’ll improve your chances of identifying equipment that needs maintenance ahead of time. This allows you to repair the equipment before more expensive repairs are required. How does Vibration Analysis Work? Vibration can occur within machinery. In some cases, vibration is desired, but typically, in regards to machinery, vibration is unwanted and results in energy leaking out of the device. Vibration not only increases the sound machinery makes, it also increases the chance of it breaking down. The continual, subtle shaking of the machinery can cause elements to loosen. Over time, bolts, screws, wiring, and other elements within the machinery may become dislodged. This in turn causes several problems. First, the entire machine may shut down or stop functioning properly. It can also cause the disruption of an electrical current, which in turn means a hazardous amount of electricity may enter the localized atmosphere. A hazardous amount of electricity can lead to extremely dangerous situations and put everyone working on the production floor at risk. 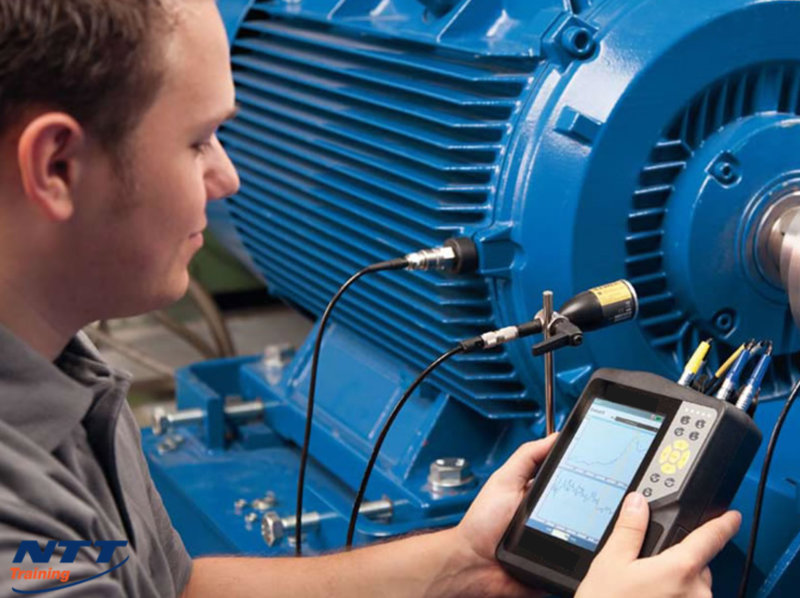 Vibration analysis occurs when an individual is able to measure the vibration given off by a device and use the information to identify potential problems within the machinery. By locating these problems ahead of time, your company can fix the machinery before it turns into a more dangerous (and expensive) situation. Even if the vibration stems from loose screws or belts that need lubrication, vibration analysis has the ability to save you time and money while boosting productivity and keeping workers safe. Why is Vibration Analysis Important? Vibration analysis is important for many reasons. It reduces the chance of a dangerous situation within your facility. Also, by locating problem areas within machinery ahead of time, you can repair the damage early on. Doing so keeps your employees safer from sudden breakdown or electrical discharges from your machinery. Vibration analysis is also important as it helps you save money as you can repair minor problems now instead of dealing with major, more expensive issues later on. You can also avoid production downtime, which may cost you clients and sales. Should Vibration Analysis be Part of Our Health and Safety Training? Keeping your employees safe while at work needs to be a top priority. Many categorize vibration analysis as a maintenance activity, however it can and should also be considered a complement to Health and Safety projects and training because vibration analysis reduces the chances of employees running into dangerous situations. Vibration analysis locates problems and helps you repair machinery before the dangerous situations develop. It is always better for you to avoid a dangerous situation than try to correct it. This is exactly what vibration analysis does. Why Would My Business Benefit from Having Workers Trained in Vibration Analysis? It is important for you to have workers training in vibration analysis for several reasons. It does reduce unplanned downtime, which in turn may help you avoid losing production time – or clients from missed orders. It also keeps your employees safe by reducing the chance of machinery breakdowns. Beyond all of this though, it helps your company save a considerable amount of money in repairs. When working with large machinery, vibration analysis is essential. By training employees in vibration analysis, you’ll locate potential problems before more dangerous issues develop. So, if you want to boost safety within your company while reducing the chance of production downtime and repair costs, now is the time to look into the training and services provided by NTT Training Inc.